Jordan’s Ma’in Hot Springs, where King Herod was said to be a frequent bather. Our favorite hot springs are sure to improve your overall sense of wellbeing. Calistoga Ranch in Northern California. Turkish Delight: Pamukkale’s terraced pools. Mineral baths and thermal pools have provided natural spa relief since at least Roman times. Here, a few of our favorite hot springs around the world that are sure to reduce stress, increase blood flow, and improve your overall sense of wellbeing. Runoff water from a nearby geothermal plant, rich in minerals such as silica and sulfur, infuse this luminous blue pool’s milky waters with healing properties, particularly for eczema, psoriasis, and other skin conditions. Its proximity to Reykjavik and extensive spa services available (including in-water massages) make the Blue Lagoon one of Iceland’s most popular attractions; an expansion in 2016 added two new coves for its ever-burgeoning number of bathers. Pamukkale’s springs cascade down into the site of the ancient Greek-Roman city of Hierapolis, whose remarkably well-preserved ruins include a theater, temple, and necropolis. The aquamarine Apollo Pool contains submerged Roman columns. Plan Your Trip: You can bathe at Pamukkale year-round, but winter months – when the region is much warmer than the rest of the country – provide added allure. Be sure to visit the nearby Laodicean Church (an early center of Christianity) during a ten-day tailor-made tour with Turkey at Its Best. Magma beneath Arenal Volcano heats up a number of natural springs in its eponymous national park. Resorts, spas, and water parks offer everything from waterslides to swim-up bars. 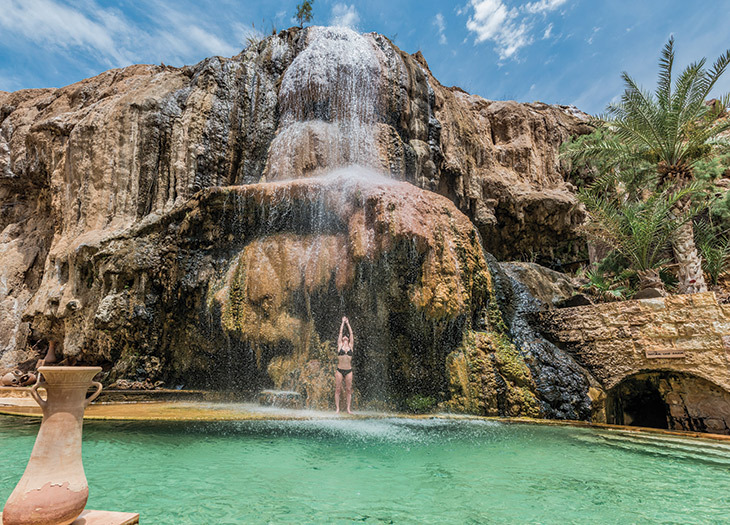 Locals prefer to take to the still-free waters along Rio Agua Caliente, where bathers have formed little pools with rocks along the river. Plan Your Trip: Floats along the Peñas Blancas River, forest hikes over lava flows, and other active adventures earn dips during Ladatco Tours’ ten-day customizable Costa Rica expedition. Plan Your Trip: Three days at Kurokawa leave plenty of time for dips during Remote Lands’ 14-day tailor-made Japanese adventure. Our favorite time to visit: between October and November to see autumn’s changing colors. The only hot springs open in Alberta’s Banff National Park are Canada’s highest, at 5,200 feet. They’re also one of the country’s most popular and can get quite crowded with tourists, which is why Calgary-based Virtuoso advisor Jodi Fox suggests doing as the locals do and visiting during shoulder seasons (midspring or midfall). In the park, Fox also recommends you simply set out on foot, on a bike, or by car “to happen upon your own spot for a picnic or hike.” August and September are the best months for seeing the northern lights, she adds. Plan Your Trip: The castlelike Fairmont Banff Springs is just minutes away, although the 768-room hotel’s heated outdoor pool provides its own Rocky Mountain therapy. “Enjoying the crisp mountain air while relaxing poolside is as good as it gets,” says Fox. Northern California’s indigenous Wappo tribe healed many ills by mixing the ashy soil and warm waters that gushed up in Calistoga. The area’s first health resort appeared just after the gold rush, and now these rejuvenating mud baths are as much a staple of the Napa Valley experience as wine tastings and hard-to-get tables. 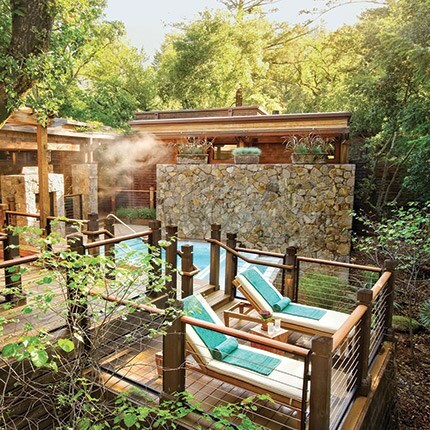 Stay at Solage Calistoga, beloved for its geothermal bathhouse and mudslide spa treatment, and Calistoga Ranch – try the Water Therapy treatment in the spa’s mineral pool. Jordan’s Ma’in Hot Springs offer healing of biblical proportions: King Herod was said to be a frequent bather. A modern spa complex on the site keeps today’s feet nimble for exploring the hundreds of prehistoric chamber tombs in the nearby Al Megheirat dolmen field.